The hallmarks of architectural advancements, such as skyscrapers and high-rise buildings, create an impressive concrete jungle that accommodates a large portion of the Australian population. Sydney and Melbourne are the largest urban centres, with Sydney taking the lead as the biggest one. Although the population of both cities is on the rise, according to demographic statistics Melbourne’s population is growing at a faster rate and in a few decades, it could overthrow Sydney and become the largest urban jungle in Australia. This means that we are to see even more high-rise buildings popping up in near future as to provide living space for the continuous growing number of city dwellers, thus leaving little room for green spaces to thrive in the urban environment. Plants and flowers not only beautify the space, but are also essential for preserving and sustaining life on Earth. The reality is that building structures pose a threat to diminish green spaces. With little to no greenery, it’s no surprise problems like pollution and congestion are more prominent than ever before. As city dwellers, we should all strive to make the urban jungle greener by finding smart ways to implement more green spaces in dense urban areas, which in turn will result in a more sustainable city life. Creating a thriving urban garden can be a challenge. Lack of space, poor weather conditions, little sunlight are just some of the problems that urban gardeners have to overcome to give their modern living space a dose of greenery. The good news is that due to improvements in the construction of planters in the last decade or so, urban farming has become easier and more productive than before. Thanks to the smart design of outdoor and indoor modern planters you can have a bountiful garden, regardless of your available space. They allow you to make the most of the outdoor or indoor growing space you have at your disposal, all while preserving water resources. The thing that makes outdoor and indoor modern planters perfect for urban gardening is their self-watering system which not only prevents water evaporation and wastage, but can also keep your plants, herbs and flowers moisturised for a couple of days. So, you don’t have to take time from your busy schedule to water them every single day. 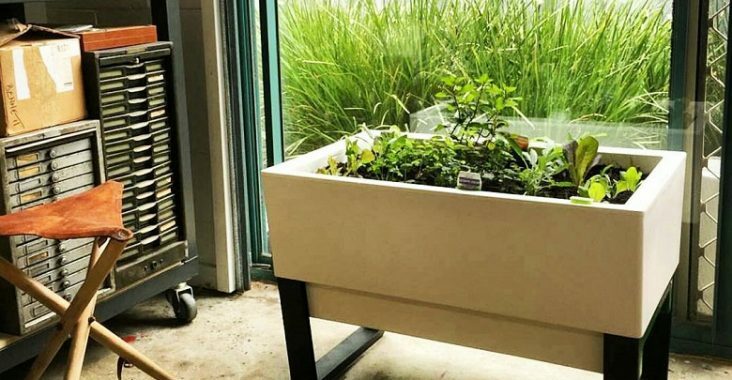 Self-watering planters consist of a practical water reservoir and are made from durable materials that are highly resistant to UV and corrosion damage. The water reservoir is designed to provide the soil or potting mix with the required amount of moisture, thus allowing the crops to develop strong and healthy roots. 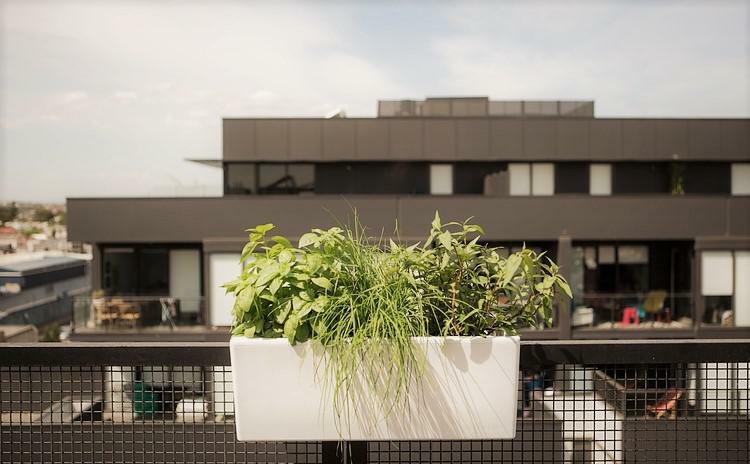 Due to their compact size, modern planters make it possible to grow wonderful plants pretty much anywhere in an urban living space, be it outside on the balcony, rooftop or deck, or inside in the kitchen or living room. With all these amazing features, modern self-watering planters indeed provide a smart solution to the lack of green space in the city and can easily infuse any living space with the gorgeous colours and aromas of the most precious gifts of nature – herbs and flowers.